Kraepelien & Holm brand Boerderij is slightly more salty than Venco- Boerderij. Boerderij is a traditional drop that children and adults alike enjoy. 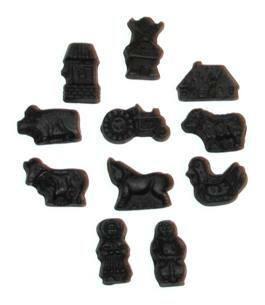 Kids love to play with the farm animals, trucks, houses and people shaped licorice. This licorice is moderately salty and firm.